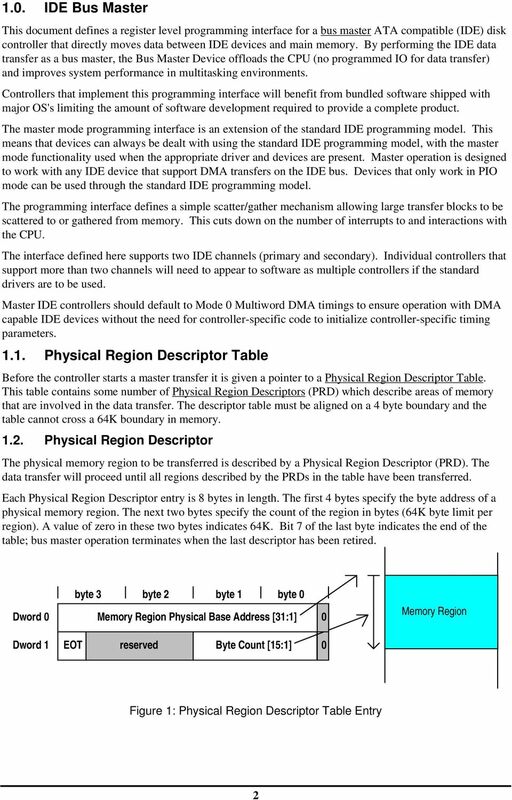 Download "Programming Interface. for. 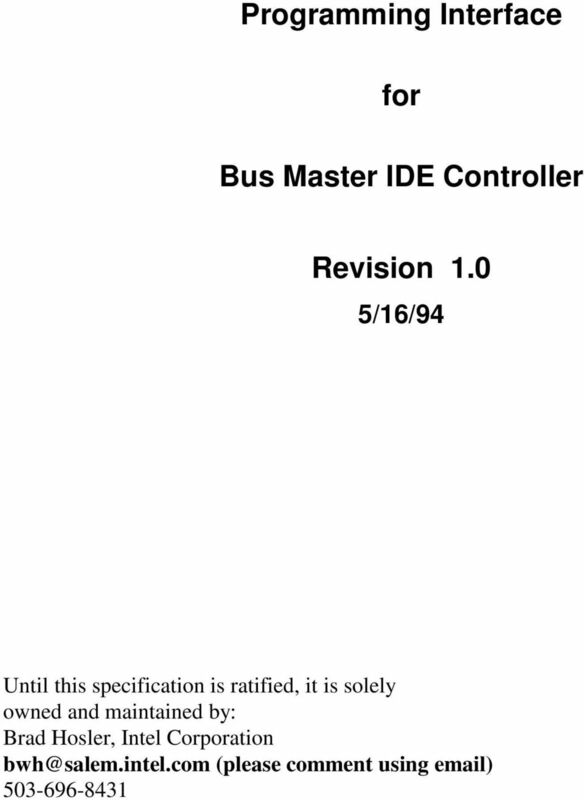 Bus Master IDE Controller. Revision 1.0"
7. 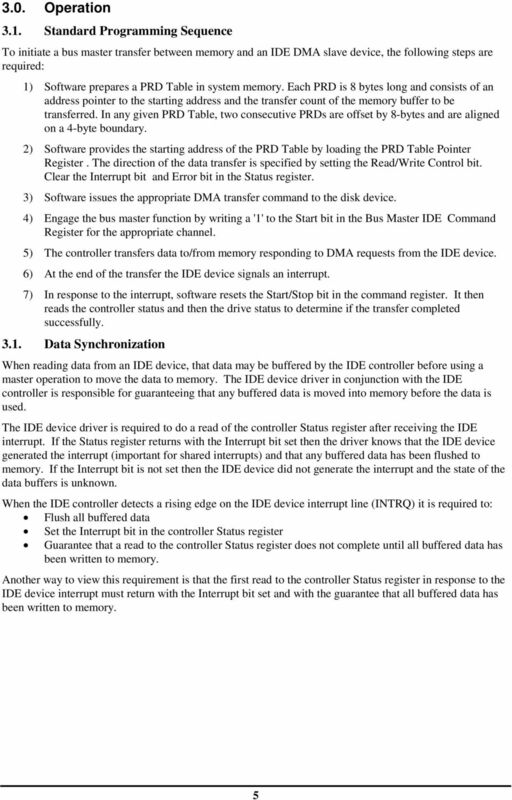 ATA & TRUE IDE REGISTER DECODING SiliconDrive PC can be configured as either Memory Mapped or I/O Devices. As noted earlier communication to and from the SiliconDrive is accomplished using the ATA Block. UMBC. ISA is the oldest of all these and today s computers still have a ISA bus interface. 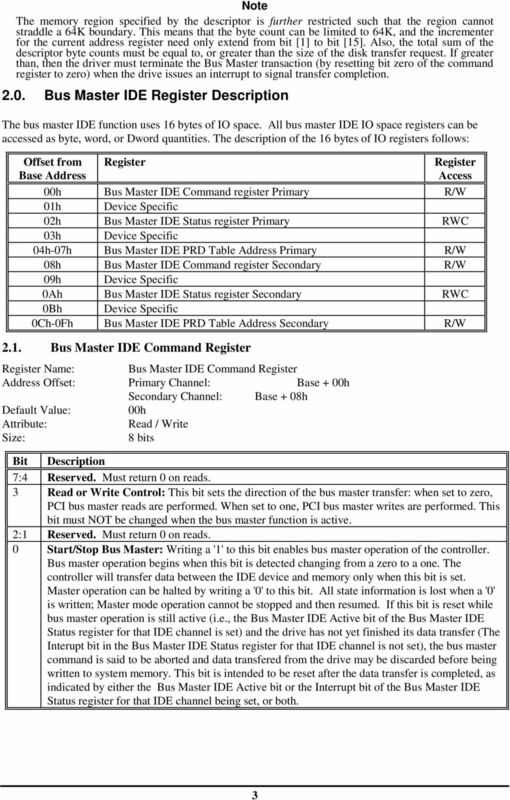 in form of an ISA slot (connection) on the main board. AN141 SMBUS COMMUNICATION FOR SMALL FORM FACTOR DEVICE FAMILIES. 1. Introduction. 2. 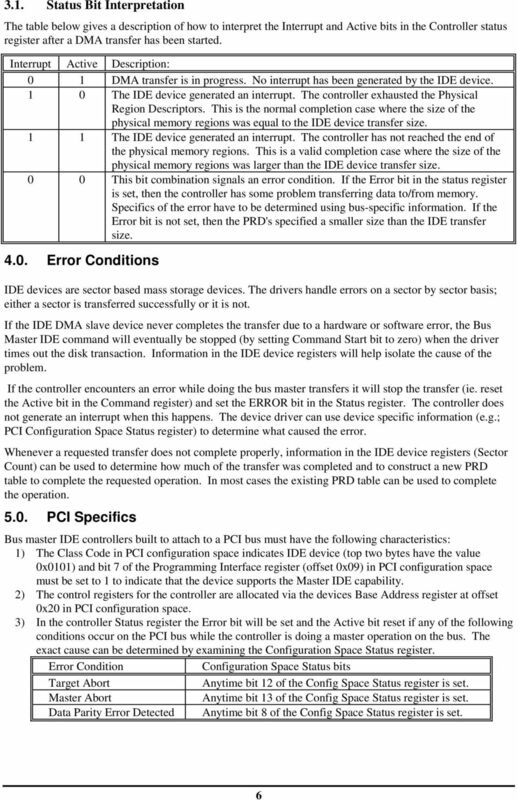 Overview of the SMBus Specification. 2.1.